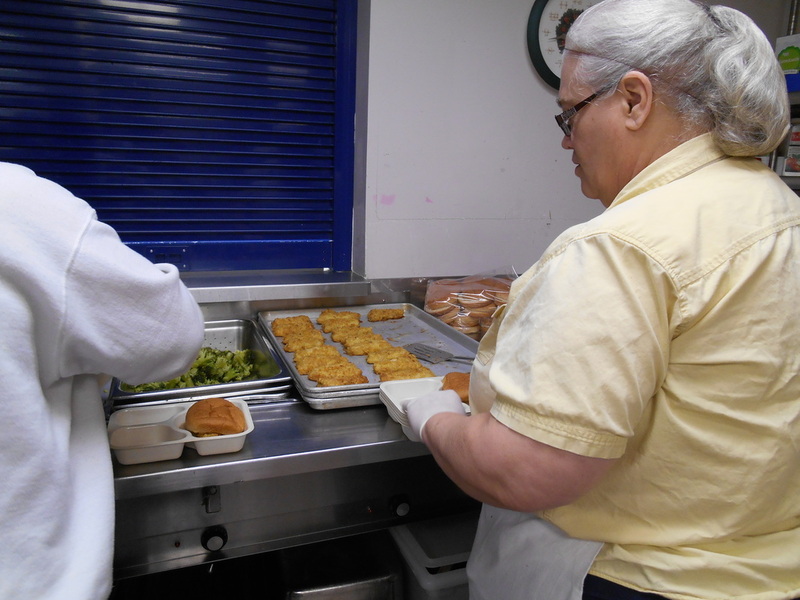 The Murray-Calloway County Senior Citizens Center serves over 120 meals each day to our homebound clients. It is the same meal that we cook and serve at the Senior Center for that day. *Please note: if you are receiving meals, but need to cancel for a day (or more) please contact the Center a day in advance to let us know! If the meal leaves our building we cannot keep it! Thank you for your help in utilizing our food resources. Below are some frequently asked questions regarding Meals on Wheels. What qualifies someone for Meals on Wheels? One must be 60 years of age or older, homebound and unable to attend the congregate site. The client must live at home alone or have no one in the home on a regular basis capable of preparing meals. There should be a medical need, physical or mental, that complicates the preparing of meals. Where do you deliver and how often? We deliver meals to Calloway County with three routes that go in every direction of the county. One meal a day is delivered, Monday through Friday. 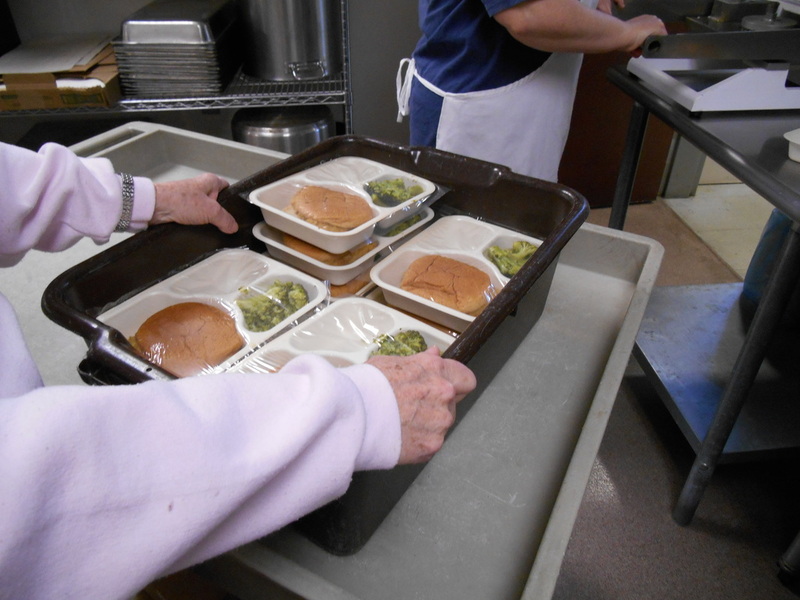 We start delivering meals at 9:00am, so everyone receives a hot meal by noon. Is the meal nutritious? The short answer is yes, and it is approved for diabetics. We have a nutritionist that coordinates the meal plan and even the recipes that we use. We limit the use of salt and we do not fry. Each meal contains 1/3 of your daily allowance of almost every vitamin and mineral you need. What does the meal cost? The full price of the meal delivered is $5.75 each. We do receive a Federal/State grant each year which helps offset the cost. Most of our clients participate in the Subsidized Program and donate a portion of that cost. However, there is always a waiting list for the subsidized meals. There is a Private Pay Program which generally does not have a waiting list. Participants of this program pay the full cost of the meal. How long will I have to be on the waiting list for a meal? There is no way to determine the answer to that question because there are many variables. We assign a priority number to each client waiting and then we take the highest number that lives on that particular route. Who do I contact about Meals on Wheels? Our Nutrition Director, Nannette Durham, or our Executive Director, Mark McLemore, can assist you with questions you might have. Contact Nannette or Mark at (270)753-0929 if you are interested in signing up for the Meals on Wheels program.